12 energetic and intense shades that enhance the style and form a distinct identity. The world is not all black and white and these watches emphasize and reinforce the concept by joy just looking at them! Nuances (also referred fluo 3), vibrating perfect for business casual or more, less colors on even for more formal occasions. Soft silicone strap light to wear with dial also colorful, simple in readability. 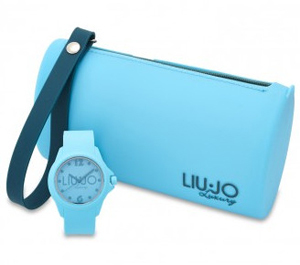 Liu Jo Watches has not overlooked the package, and so the clock comes in a practical and small clutch bag combined with the color choice!